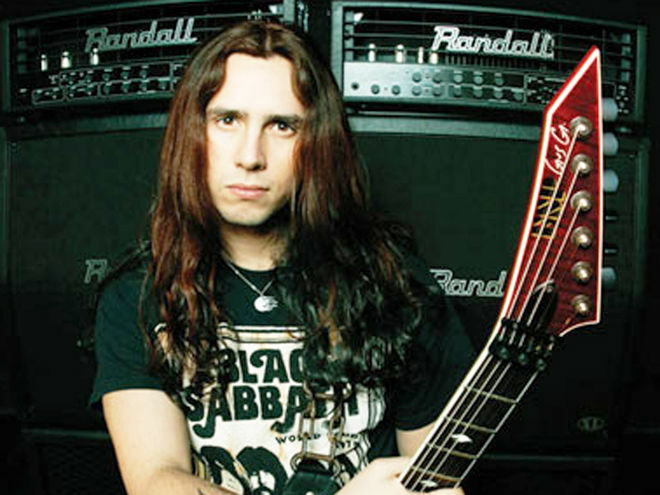 Never frittering away idle time, Gus G since joining Ozzy Osbourne’s band in 2009 has released two Firewind albums and two solo albums plus continued touring whenever possible to support these efforts as the Madman finished out his Sabbath days. Feeling the yearning from Firewind fanatics for another studio album, Immortals is their latest effort and first in five years. Featuring former Metalium vocalist Henning Basse on this album (previously subbing on tour with Firewind back in 2007, also recruited for some solo live dates with Gus G), the recipe retains the neo-classical, melodic power metal edge that won’t disappoint those who’ve followed the band through pinnacle efforts like Forged in Fire and The Premonition. There’s no disputing Gus’ prowess at electric guitar – the man puts on a clinic through his arpeggio-oriented shred and tapping skills, as “Ode to Leonidas” and “Warriors and Saints” feature riveting, smooth axe mastery maneuvers. 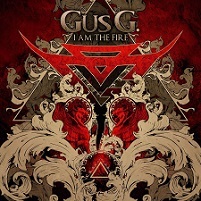 It would all be for naught though if Gus and the support in Firewind couldn’t develop adequate hooks and melodies to construct worthwhile arrangements and songs – fortunately Immortals contains dynamic material on all fronts. 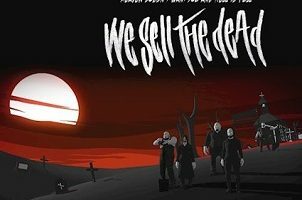 You want uplifting, dual kick fueled power metal, there’s the double shot salvo “Hands of Time” and “We Defy”. How about an epic that contains mystical bells, intuitive acoustic supplementation, plus calm, expressive verses from Henning that build into a heavy, Dio-inspired number – “Live and Die by the Sword” fits that bill. Even the bluesy-tinged instrumental overtones for the semi-ballad “Lady of 1000 Sorrows” give the listener another dynamic flavor so that your ears don’t bleed from electric sonic fatigue. Keyboardist Bob Katsionis also rises to the syncopation challenge while also delivering the steady symphonic supplementation when called for. Henning has a tailor-made voice for power metal – rich in texture, vibrant on upper tier passages, cut of a similar cloth as the greats. Tackling a Greek historical battle of Thermopylae in 480 B.C. 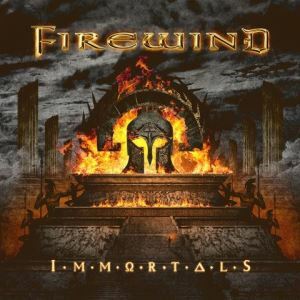 to play out over the album conceptually, it’s a first for Firewind as well that provides the listeners a story they can sink their teeth into – and makes the Gustavo Sazes visuals even more exciting. Certain bands know what their followers desire, twisting up the formula in small ways but standing strong for their natural sweet spots. Immortals is one such record for Firewind – the singer shift possibly elevating the group to even bigger creative possibilities, giving us outstanding results.